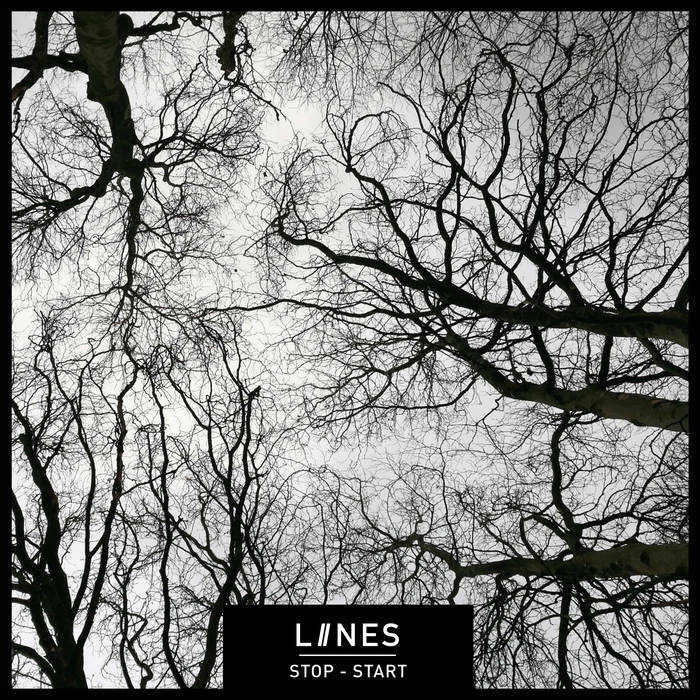 One of our favourite bands and some of our favourite people LIINES released their debut album Stop-Start back in May. On Saturday they play their biggest headline UK show to date at the Deaf Institute in Manchester with Berries and Threads. We caught up with Leila for a chat about Stop-Start, the gig, new songs and their plans for the rest of the year. Hi LIINES. You play your biggest headline show to date at the Deaf Institute in Manchester. Are you excited to be playing such a spectacular venue for your (belated) album launch? Absolutely! The Deaf Institute is one of the best venues in Manchester for gigs and for club nights so we’re so excited to be playing there and DJing after! It’s a bit weird billing this as an album launch. We had a few festivals in May, when the album came out - playing The Ritz supporting The Membranes and playing Dot to Dot Festival - so we weren’t able to do a launch at the time. But we didn’t want to not do anything. So to be playing the Deaf Institute as a bit of a launch for Stop-Start is going to be really special. People have told us they’re coming from as far as Dublin, Bristol, Yorkshire and other places, which is really incredible. It will be worth it, we promise! 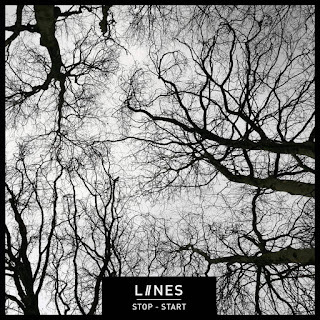 It’s been two months since Stop-Start was released. Have you been surprised by the universally positive reaction it has received? It was always going to be a nervy time. We’d worked on writing and recording Stop-Start - with our original bassist Steph - for years. And once it was finished, it took a while to get everything together for the final release. So finally getting it out there was an exciting but tense time! We’ve been pretty overwhelmed by the anticipation let alone the response. We’re really proud. Where’s the furthest afield you’ve sent it and has any particular response to it stood out? We’ve sent a few copies to the US and loads to Europe. It’s a weird feeling after so long, slowly building awareness of your band when you feel you know each new person who starts to follow or support you, to be sending your music to strangers across the world. We’ve had some really lovely messages of support. It’s meant so much to us. Getting a four star review in Q Magazine is obviously a huge stand out. But honestly all the reviews we’ve had have been special in different ways. For example, reading Even the Stars’ review of Stop-Start made me cry! Two months down the line what are your favourite songs on the album? I think Shallow for the racing start it gives the album. It was a song we were playing first for a while, which gave us the idea to start the album with it. It commands your attention! I’m pleased we got to release it as a single and really enjoyed making the video with Tom Quaye (0161). Also Never Wanted This - it’s shows a very different side to us. It’s a bit more exposed, especially for Zoe’s vocals, and it’s become one of my favourites to play live. You’ve had amazing support from the likes of John Kennedy at Radio X and Tom Robinson at BBC Introducing. What does that mean to you as musicians to have such influential people on your side? We were lucky that John latched onto us so early for our debut single - many thanks to Even the Stars moonlighting over on Louder than War! And even though he played our first few singles, we’ve never ever assumed that support would continue! He’s a genuinely such supportive and encouraging person and we’ve been lucky he’s given us some fantastic opportunities this year - inviting us in to record a session at the Radio X studios, made us Artists in Residence twice, asked us to headline his X-Posure showcase and even having us phone into his show a couple of times too. Tom Robinson has been increasingly aware of and supporting of LIINES too - and they’ve both said some really lovely things on air and on social media. It is one of the things that validates what you do is worth doing. That’s also the case with people coming to your gigs and buying your music - don’t get me wrong. But those moments when you’re hearing such well regarded people talk about and play your music live on air are really special moments for a band. You haven’t been resting on your laurels though and have been writing new material. Will we hear any of this at the Deaf Institute and are there any plans to record it yet? YES! We’ve been playing a couple of new tracks already this year and we are excited to have have written another two, which will debut this weekend. We’re so excited about the set we have planned for Deaf Institute. It’s our longest we’ll have played in ages and we will be raring to go come 9PM on Saturday! You’re going back to Head For The Hills in Ramsbottom in September after opening the second stage a couple of years back. Are you looking forward to playing a later slot in that tent that’s seen some acknowledged breakthrough performances from Manchester bands such as The Slow Readers Club and Ist Ist? Definitely. When we first played Head for the Hills (then Ramsbottom) Festival, we were the first band on when the gates had only just opened. The tent instantly started to fill and we knew that the festival was right for us. The response during the set and afterwards was so warm. We were chatting to people for hours! So it’s one we’ve really wanted to get back to. It was an honour to be invited to play the press launch earlier in the year and it’s really great to have a festival as great as Head for the Hills that genuinely supports new and local bands. Playing a later slot will mean so much for lots of reasons. We’ll be desperate to get out there and show the Head for the Hills regulars a new and an even more ramped up live set than a few years back! We’ve got this run of gigs coming up in July and August - Sheffield, Manchester, Nottingham, London and maybe another before we Head for the Hills in September. We have a few more very exciting bits and pieces coming up after that, but we can’t say anything about those yet... though one we will be revealed in a few weeks. Essentially, we want to play as many gigs as we can, get LIINES to some new places and continue to write and play new material. It’s been a hard slog to get where you have with an album out and playing the Deaf Institute. What advice would you give to bands starting out in getting an audience and dealing with the “business”? We’ve been asked this a quite a bit lately. I’d say if you’re starting out, or struggling to get to where you want to - plan. Plan a release, plan some dates, do your own press, handle yourselves right and you will start to make a name for yourselves. That makes it sound easy - it obviously isn’t. Believing in what you’re doing is key and that means trusting your instincts when it comes to dealing with the industry. When stuff feels right, you know it. If something doesn’t work out then you learn from it. We’ve learnt so much over the last few years, and still make mistakes or wish we’d done some things better, but you will write new music and play new gigs and tours and keep on learning and enjoying what you do! The album is available on beautiful white vinyl from their Bandcamp. Their track by track walk through the album can be found here. They play Sheffield Audacious Art Experiment (July 20), Manchester Deaf Institute (21), Nottingham Rough Trade (August 1), London Brixton Windmill (18) and Ramsbottom Head For The Hills Festival (September 14).